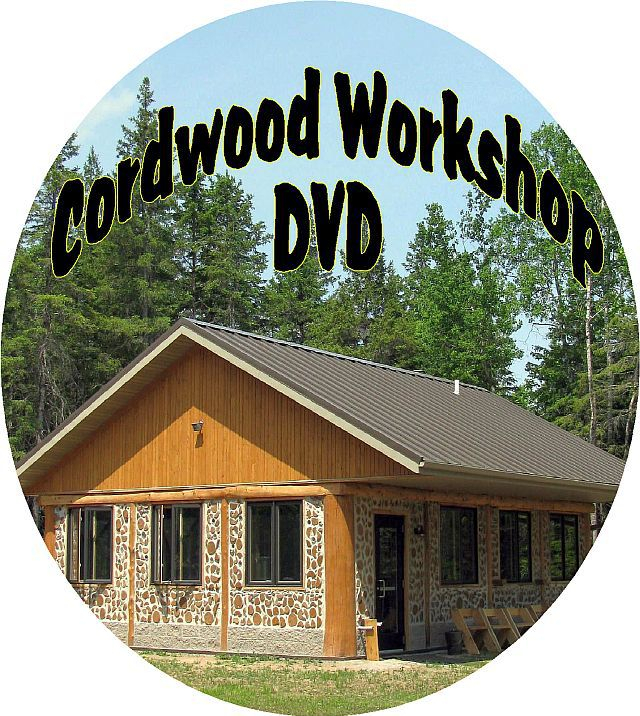 Can I build cordwood in a hot, humid climate? 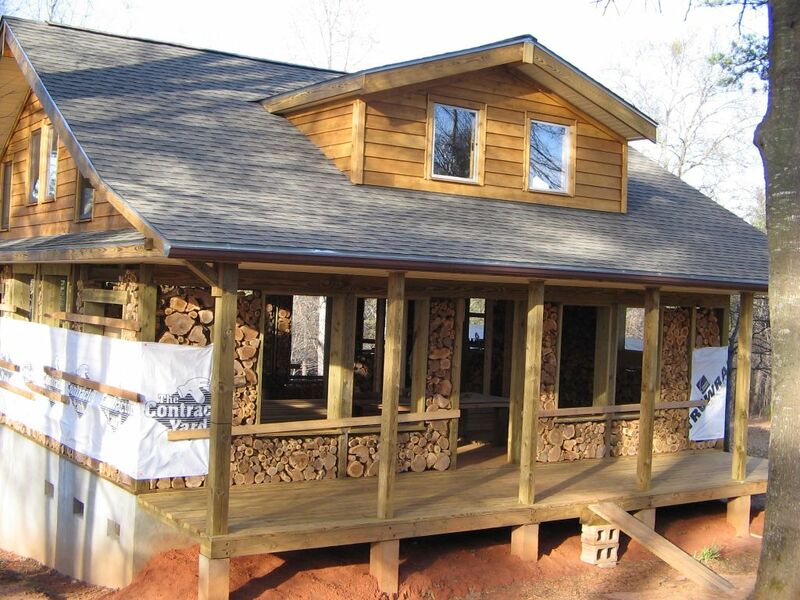 Here are some fine examples of cordwood in the South. 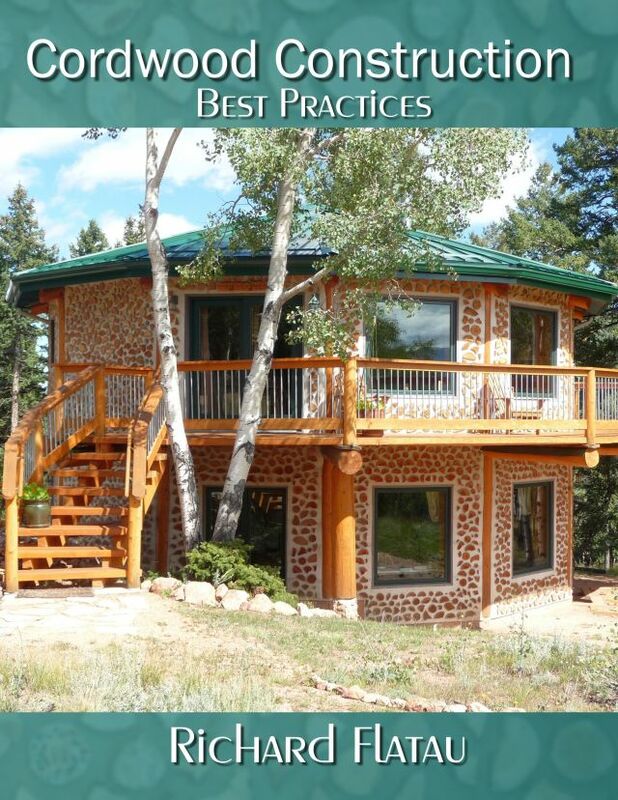 Obviously, if best practices are used, cordwood can be very successful in warm, moist climes. Sam Felt and Bill talking about cordwood building in the center part of the home’s inner circle. This is a very beautiful and dramatic building. The arches were 1″ dimensional lumber, bent to make a frame and then pulled off once the mortar hardened. Sam Felt’s home in Adel, Georgia. 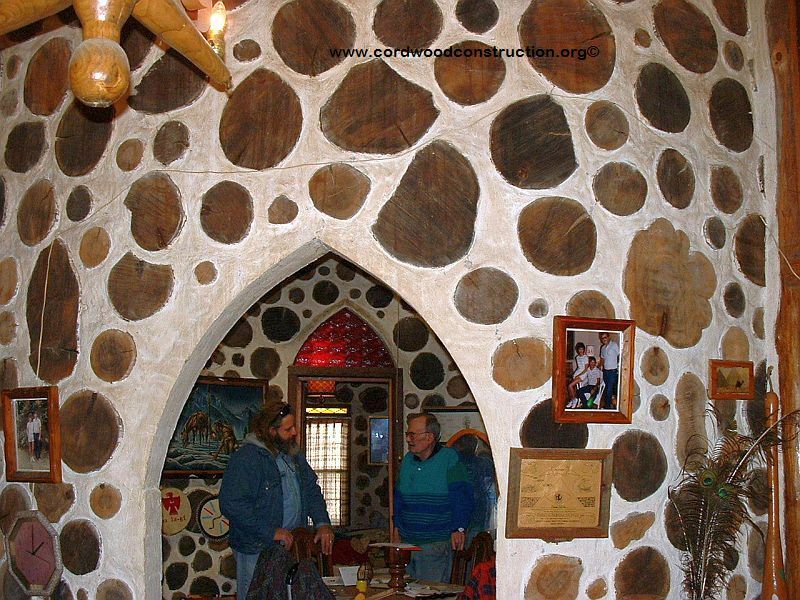 It is made of cypress and has arched doorways created by the Godfather of Cordwood, Jack Henstridge. Above is Renyard’s cypress cordwood home in Adel, Georgia. Tom and Ann’s post and beam framed beauty, in Rockmart, Georgia. This one has a large stone fireplace and is built on an older stone barn foundation. It has the wrap around porch that makes for good-neighborly living. Maria & Toby built this masterpiece in the mountains near Asheville, North Carolina. It is a 12 sided, post framed cordwood with a living roof. 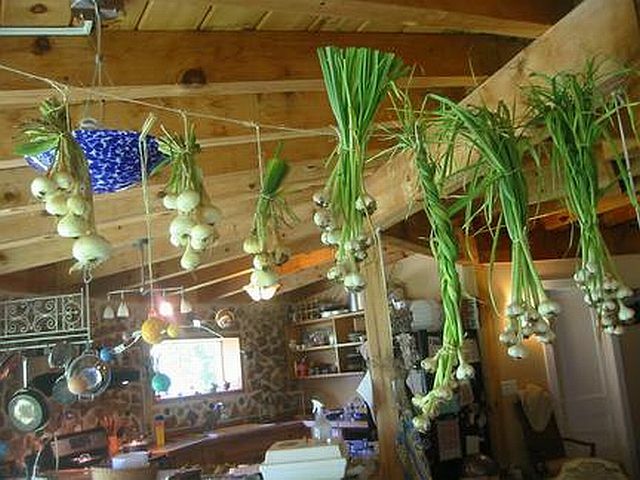 The beams make a handy place to dry the garden produce. Spartanburg, South Carolina is graced with this post framed cordwood with a full walk-out basement. The interior is also very attractive. This home sold, when the family moved to Colorado, to the first person who looked at it (for the asking price!) The real estate agent said it was because of the quality of the build. 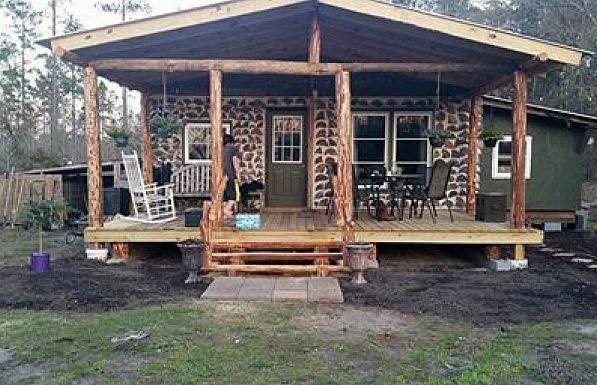 (Below) Kimberly built this 600 square foot cabin in western South Carolina for $6,000. The majority of the materials came from the property. 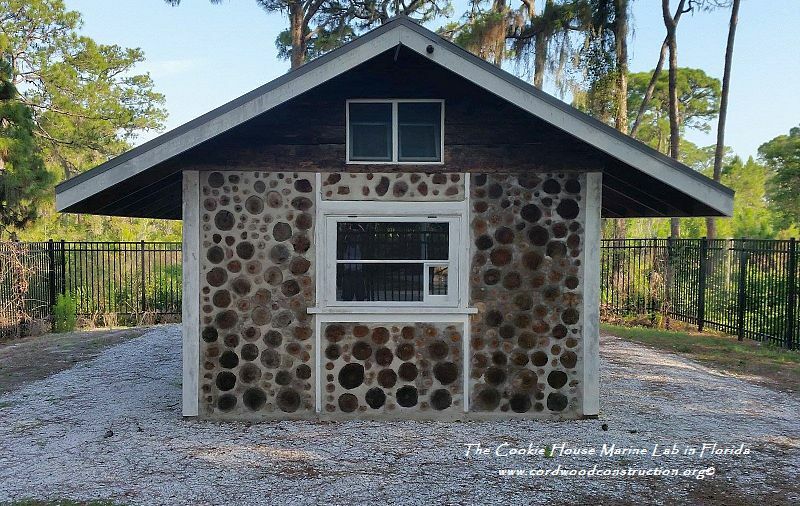 The Cookie House (built in 1931) in Edgewater, Florida is a good example of how long cordwood will last in the south. Wilburton, Oklahoma is so hot in the summer, that it’s hard to do heavy physical labor in the heat of the noonday sun. This was built by a veteran on a military reserve and sold quickly when he moved to Hawaii to be with his grandchildren. It is made of Eastern Red Cedar. 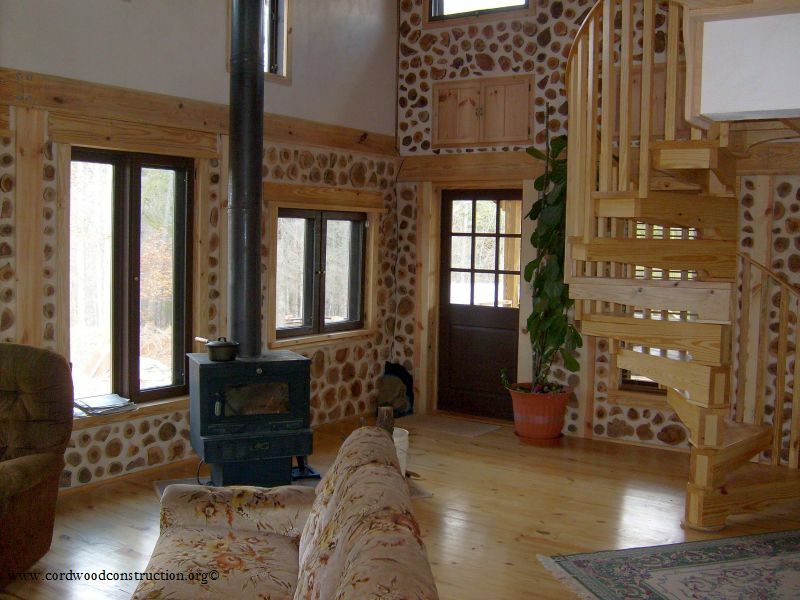 Suffice it is to say that if a rot-resistant wood is used, along with a slow setting mortar, within a post and beam framework, cordwood can be successfully built in many climates. Click on the picture to access the ordering information. The DVD is an incredible bargain at $25.